27 RECYCLING GIVES YOU THE MOST MONEY FOR YOUR METAL. Our clients enjoy that they can get on the phone and talk straight to one of our bi-lingual scrap metal purchasers. 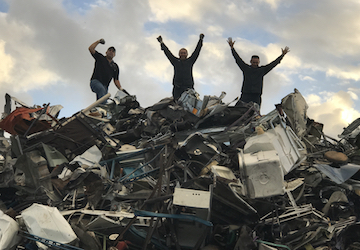 There’s no running around through endless menu option to speak directly with our metal recycling staff, only a clear solution to your metal recycling questions. You can be certain that you will be offered the most amount of money for your recycling materials. 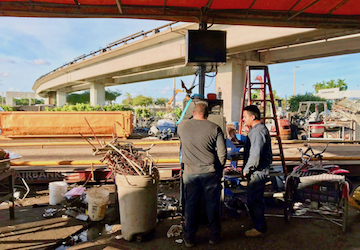 Give us a try for yourself pass by our metal recycling center and see with your own eyes that we pay more cash for your metals. 27 Recycling has both the experience, manpower, resources, and storage capabilities to deal with all private, business, and mechanical needs. We can provide a recycling storage container on site with drop-off and pick-up schedules all handled by our professional 27 Recycling staff. 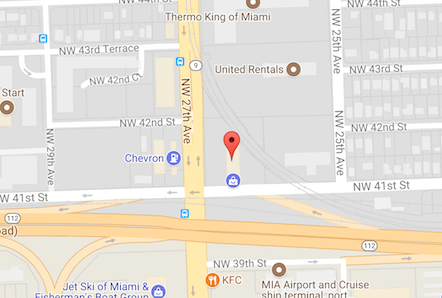 The majority of the time we are able to deliver a recycling container to your location in Miami within 24 hours. Our containers are available in both 20-foot shipping container and 40-foot shipping container options, depending on your needs and space. We can handle any size project, whether small, medium, or large. 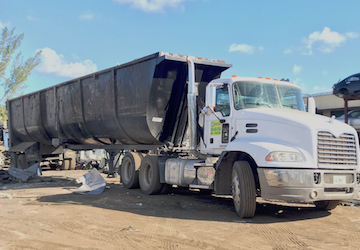 Our expert 27 Recycling staff is fully experienced in the purchasing and processing of aluminum, metal, and other non-ferrous metals. We make it completely easy for first-time metal recycling customers to work with us. A simple check-in process gets you registered in our system and anytime you return you no longer have to register or wait, simply weigh your metals and get paid on the spot! New customers to the world of recycling can bring copper wire, tubing, aluminum jars, even scrapping tin and iron is possible. We also will pay you the current market cost of your material and update our rates as the market changes. So you always get the most for your non-ferrous metals and materials.